Hurricanes. Tornadoes. Earthquakes. Fires. Floods. Terrorist attacks. Cyberattacks. You know any of these could happen to your business at any time. And you’ve probably got a disaster recovery (DR) plan in place to protect your enterprise’s data, employees and business. But how thorough is your DR plan? When was it last updated and tested? Have you taken into account new technologies and services that can make it easier to recover from disaster? 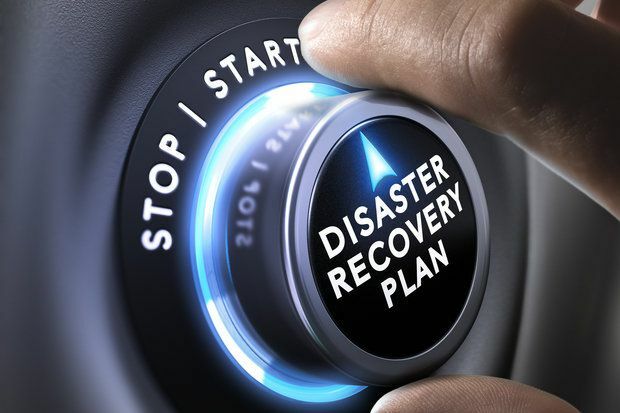 The following are 7 things your IT disaster recovery plan should include. Of course, not all scenarios are equally likely to occur. So as best you can, try to anticipate which potential disruptors are most probable. Sadly, cyberattacks are becoming “a more likely scenario” these days, Goodwin notes. So, you might want to give cyberattack planning precedence over some natural disruptors in your planning, he explains. To effectively determine DR priorities, put each major information system through a business impact analysis, recommends Mark Testoni, president and CEO, SAP National Security Services, Inc.
A BIA “identifies and evaluates the potential effects (financial, life/safety, regulatory, legal/contractual, reputation and so forth) of natural and man-made events on business operations,” according to Gartner. You can find BIA templates and questionnaires online from Ready.gov and the National Institute of Standards and Technology, among other sources. Also, identify by name the critical people charged with responding to a crisis, says John Iannarelli, a security consultant and speaker and former member of the FBI Cyber Division. Make sure you have their email, cell and home numbers. Make it clear who will be called in to work during a crisis. Know who you’ll call for help, such as law enforcement, and if possible, establish a relationship with authorities before a disaster strikes. And decide in advance who will speak for your company to the victims, clients and employees in the event of a disaster. “Know what you plan to say, how much you plan to reveal, and how you’ll reassure those who might be nervous of continuing business with your company,” he adds. Another big mistake organizations make is not updating their disaster recovery plans after changes are made to their internal systems, such as major software updates, notes Mark Jaggers, a Gartner research director focused on IT infrastructure strategies. Your plan isn’t complete unless it takes into account all the technologies, systems and applications currently in use. Plus, there may be new technologies or offerings to come along since you made your DR plans. DR plans are based on assumptions about the processes and tools available at the time the plans are finalized. “But those assumptions can change significantly, as technology evolution is quicker than ever before and innovations spring from unlikely places,” notes Milind Kulkarni, VP of product management for network resilience company Veriflow. “Advances in computer science, predictive algorithms and the availability of huge compute capacity at a reasonable price-point allow the emergence of new approaches and solutions to guarantee IT systems' resilience, uptime, availability and disaster recovery,” Kulkarni adds. For example, with services such as Amazon’s AWS Snowball, organizations can transfer petabytes of business data to a dedicated, secure appliance on site. Once the transfer is finished, you ship the appliance to the AWS center of your choice, where your data is transferred into the cloud. AWS Snowball and others like it give organizations innovative, affordable new ways to ensure data redundancy, Kulkarni says—which is a foundation of any DR plan. This story, "7 things your IT disaster recovery plan should cover" was originally published by CSO. The growing practice of moving data operations into the cloud has helped give rise to disaster recovery as a service (DRaaS). These on-demand services from providers such as iland and IBM have made DR easier and more economical, which in turn is enabling more organizations to be better prepared for disasters, Goodwin says. When considering DRaaS, ask how the provider will test and validate recovery of your data and workflows, Goodwin advises, as some testing is more extensive than others.